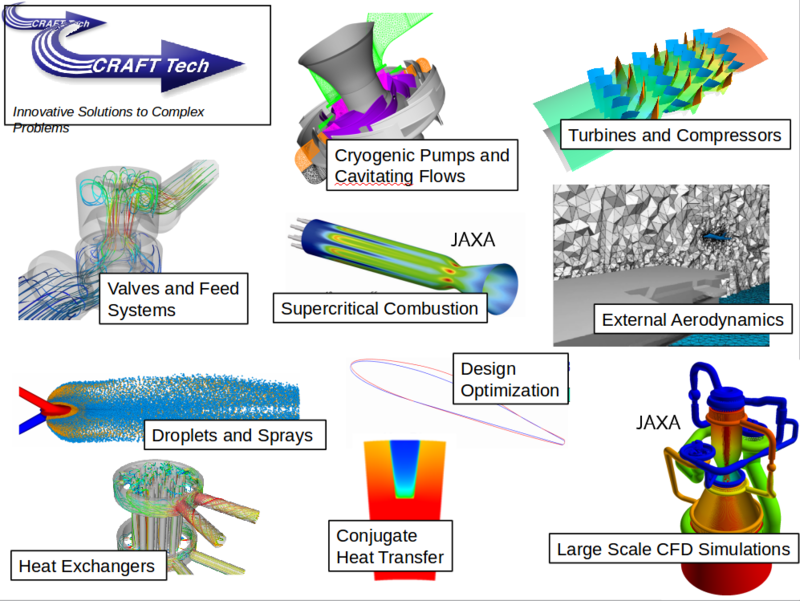 CRUNCH CFD is capable of handling phenomena such as turbulent flows, cavitation, combustion, low temperature phenomena and more. 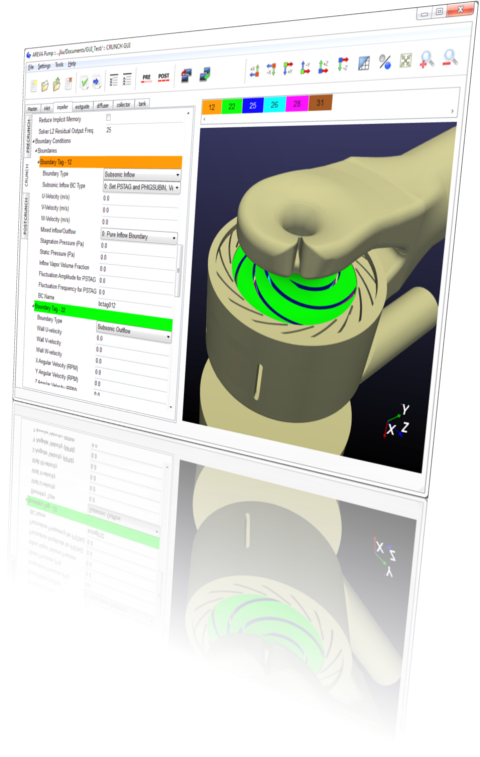 It can also handle phenomena, usually difficult to manage using typical fluid analysis software, such as Hypersonic flow analysis, specific chemical reaction models, and phase changes. Module for Incompressible/“weakly compressible” multiphase flow analysis. Compressible fluid Solver that supports all Mach numbers. It is an Equation of State model that can model flows similar to supercritical flows as well as adiabatic compression of fluids. Chemistry Manager that supports CHEMKIN/Cantera format. This includes the stiff chemical solver, ISAT, as well as the laminar flamelet model. CRUNCH CFD® comes with the PRECRUNCH and POSTCRUNCH. They support multiple mesh file formats, and can also export to multiple solution formats as well. Computation is available on Linux systems with MPICH2, OpenMP Libraries.